Late-spring-turning-into-summer in Malta is an exciting time, jam-packed with an array of festivals and a flurry of fun events. We have already covered the upcoming events in spring here. But there are few more thrilling events, that we couldn’t miss out! If you have the opportunity to visit Malta in April/May 2019, aside from heavenly temps and an abundance of stunning sites and beaches, we have carefully selected the most popular entertainment venues for you to check out and to enjoy! – The Republic Hall of the Mediterranean Conference Centre in Valletta located in “Sacra Infermeria” one of the oldest European buildings representing the architecture of the 16th century. – Robert Samut Hall in Floriana, one of the most extraordinary Maltese architectural buildings of the 19the century. For those seeking a truly authentic sensory experience, the recently added annual Gozo Alive Festival is the perfect venue for that. Taking place on the weekend of May 3-5, 2019 on the Island of Gozo, the vibrant festival program has a range of treats for all ages and preferences including those fearlessly seeking adventures, music and history lovers as well as families with children at various ages. The festival will open on the evening of May 3, 2019 in the town of Xewkija, Gozo with the extraordinary performance of our beloved and eclectically expressive Maltese band Tribali joined by Mae, Wobis Duo and JJOY as supporting acts and will conclude with the marvelous firework display (St. Mary Fireworks Factory) illuminating the night sky. The highpoint of the festival; however, will be Saturday night of May 4 when the medieval streets and squares of Victoria (the capital of Gozo) will come alive with an assortment of performances of famous local and foreign performers and entertainers. Don’t miss out on the presentation of our beloved island of Gozo in a unique and unforgettable way. The history of the City of Mdina (the old capital of Malta) also known as the ‘Silent City’ (where its residents and visitors alike are expected to adhere to noise restrictions) dates back to more than 4000 years. According to historical recollections, it is here that the Apostle St. Paul appears to have resided after having been shipwrecked. St. Paul had chosen a grotto for his residence named Fuori le Mura, which translates to outside the city walls and is currently referred to as St. Paul’s Grotto, Rabbat. This year The City of Mdina will be celebrating its 11th edition of Medieval Mdina Festival which will take you back to the original state of medieval Mdina between 1200-1500 AD displaying the re-enactments of the typical daily happenings and traditions of the time period: people going about their lives, merchants trading, battles breaking out, a myriad of pageants taking place displaying the ostentatious daily dramas of the time. 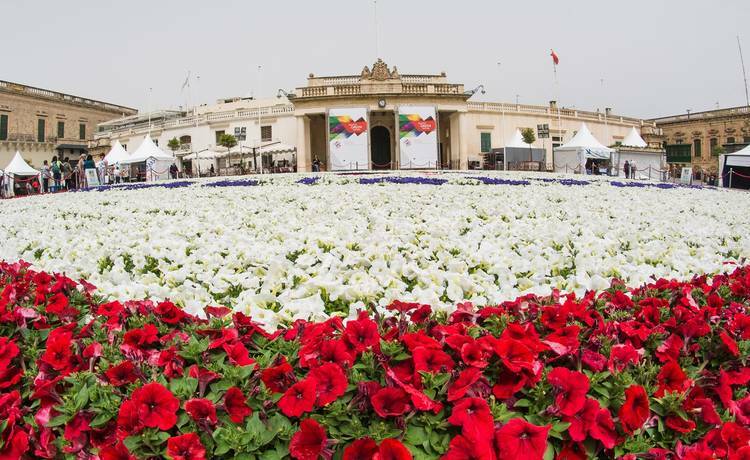 During the first week of May, St. George’s Square in Valletta will morph into a stunning work of art: a floral carpet displaying from 80 000 – 150,000 potted seasonal plant varieties enchanting visitors to walk through the Pjazza admiring and enjoying the mesmerizing concoction of colors and aromas. The main goal of the festival is to demonstrate the importance of creating more green areas in our cities and villages collectively and individually in order to beautify and preserve our environment. 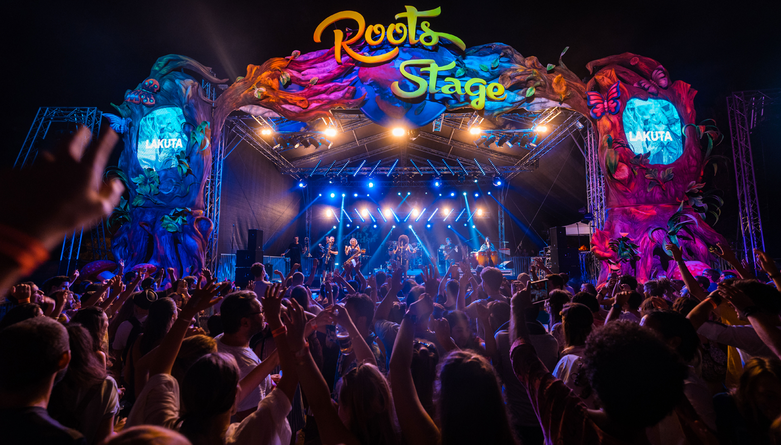 Earth Garden is the biggest alternative music festival in Malta held annually since 2007 in the Ta’ Qali National Park. The mission of the festival is to create a sense of community, enhance environmental and spiritual awareness via healing and educational workshops as well as to promote creativity by sparking your imagination and inspiration through music and various exciting creatively prolific activities. The eclectic blend of various genres such as Funk, Reggae, Dub, Hip-Hop, Ska, Psy-Trance, Techno, House, Electro and others on the stunning backdrop of the woodlands of Ta’ Qali will nurture your body and soul by rejuvenating you and tantalizing and awakening your senses thus providing a perfect platform for the most unforgettable summer kick-off on our glorious Mediterranean Isles. Fashion lovers should not miss an opportunity to plunge into the glamorous atmosphere of Malta Fashion Week. During this week, Valletta, the capital city becomes a platform for unveiling talents in the local fashion industry: designers, catwalk models, stylists, makeup artists, photographers, social media influencers and many other creative professionals. Entrance to Malta Fashion Week is free, tickets will be released on the website https://www.fashionweek.com.mt/ closer to the date, follow announcements made on the official page of the event on facebook: https://www.facebook.com/maltafashion/.